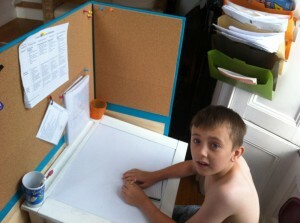 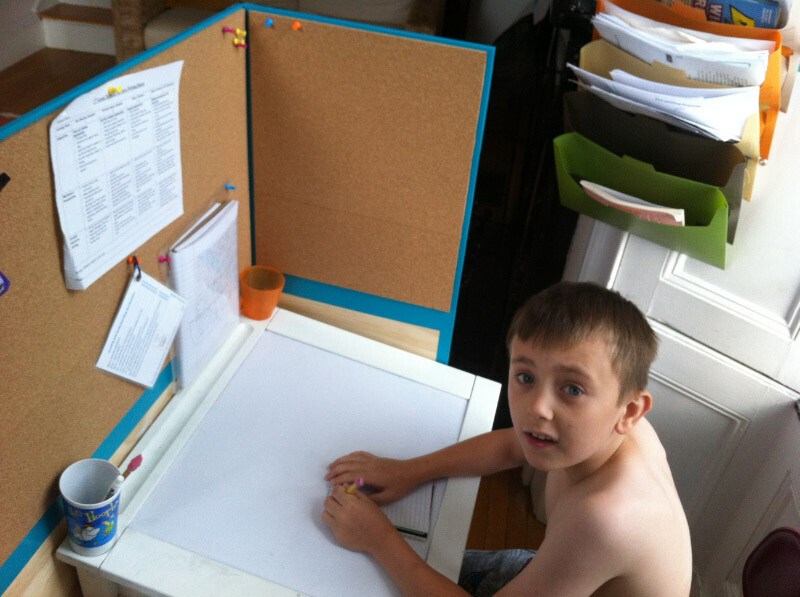 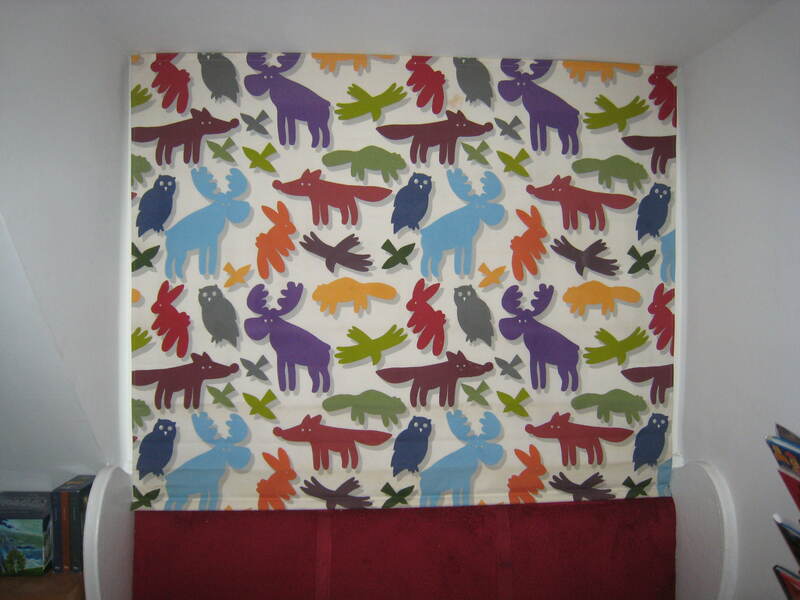 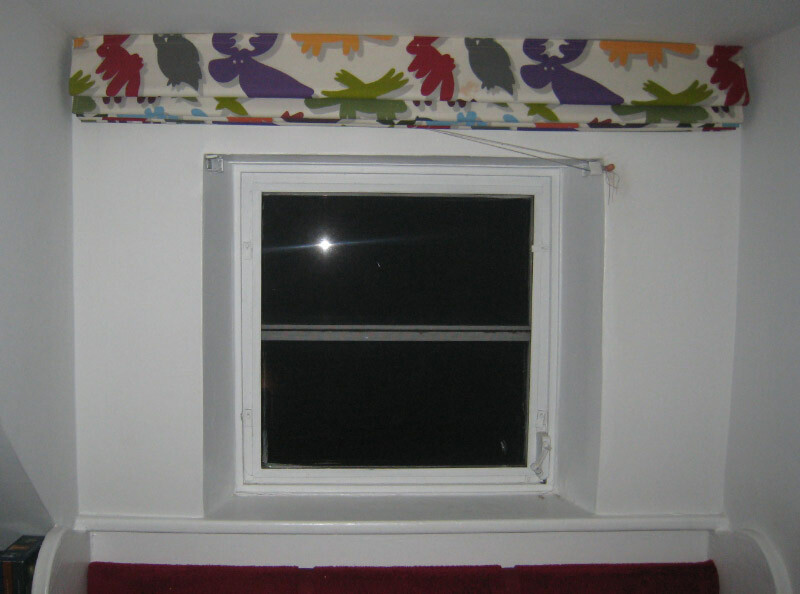 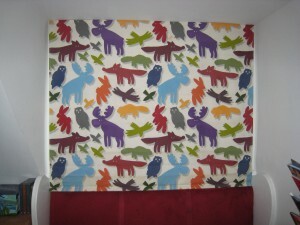 Made for the boys many years ago, this blackout blind was easily resized for their new bedroom. 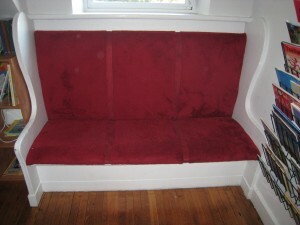 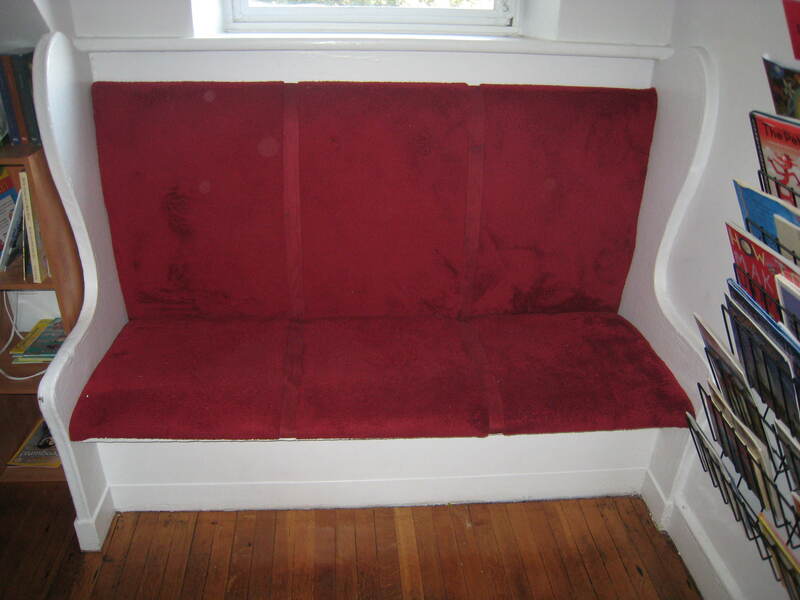 MDF cut to size at friendly local lumber yard, high density foam, calico (formerly the curtain on an IKEA wardrobe), fluffy fabric (repurposed bed cover) and our trusty staple gun, and violà – a comfy window seat for easy reading! 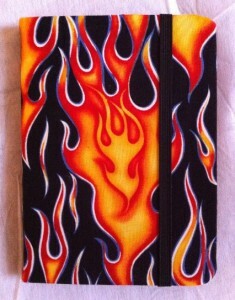 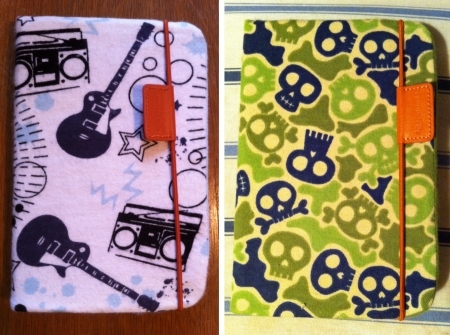 As people admired Aron’s flaming cover, we started making slip covers for friends who wanted to personalise their existing Kindle cases. 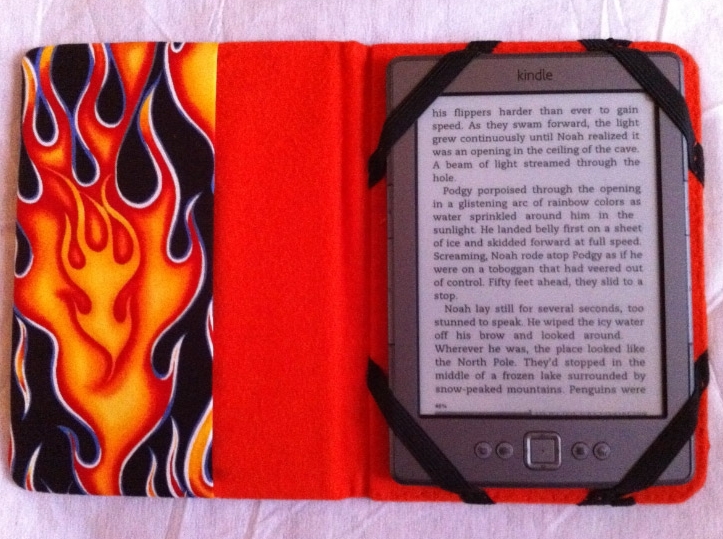 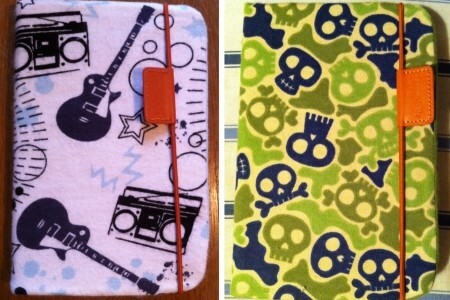 Small boys not being the most careful of creatures, we made a flaming cover to protect Aron’s new Kindle using cool fabric and heavy cardstock. 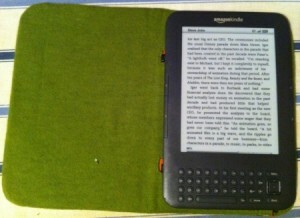 It certainly gets attention! 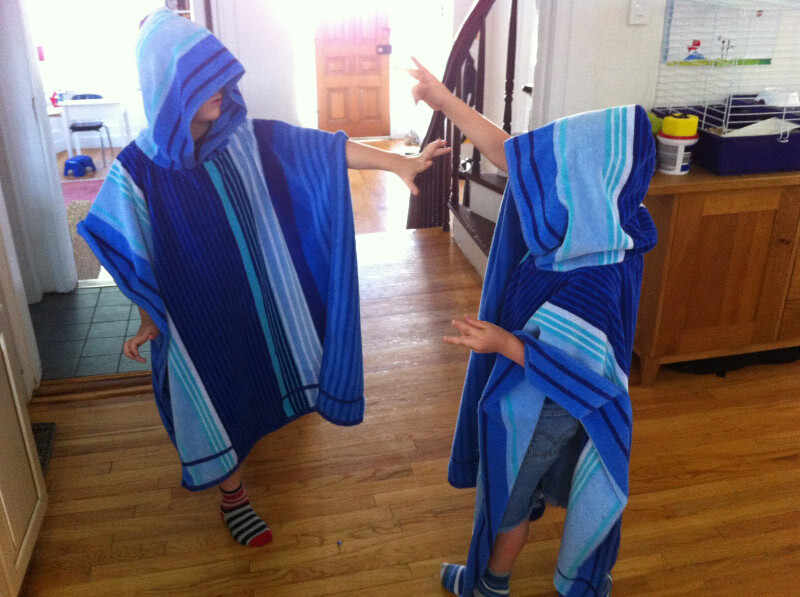 We added hoods to large beach towels to allow for easy drying and changing on the beach, or manic wizard dancing! 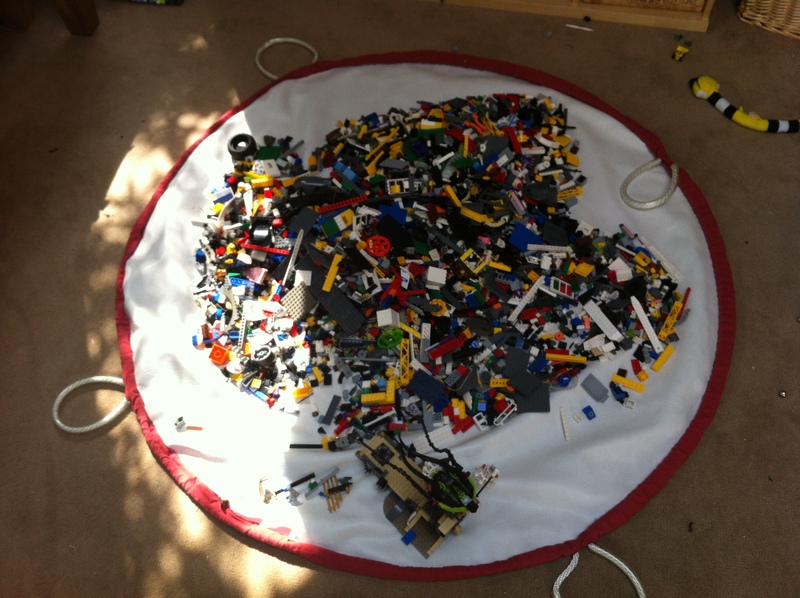 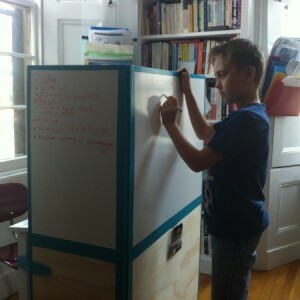 A quick and easy solution, allowing A&E about 20 sq ft to spread out their Legos and find exactly the pieces they need – without burying the floor! 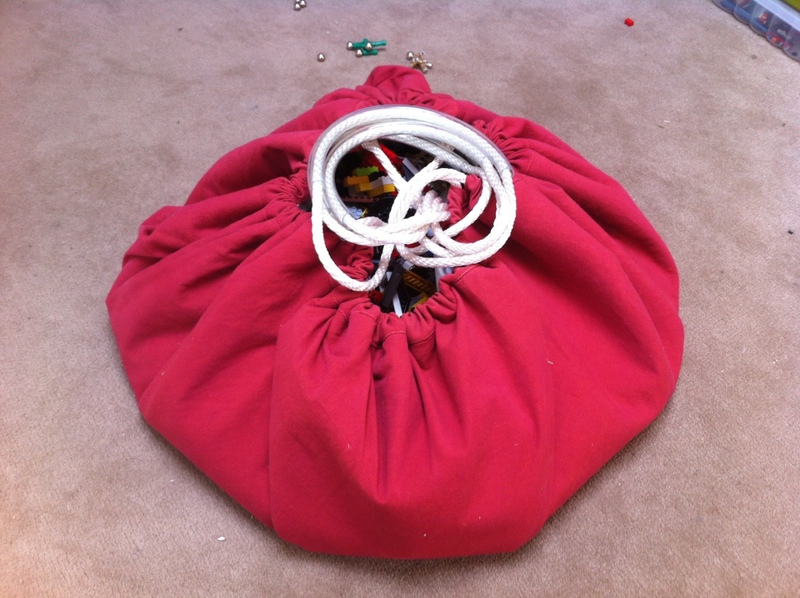 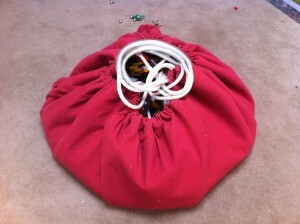 …and store it away neatly when you are done! 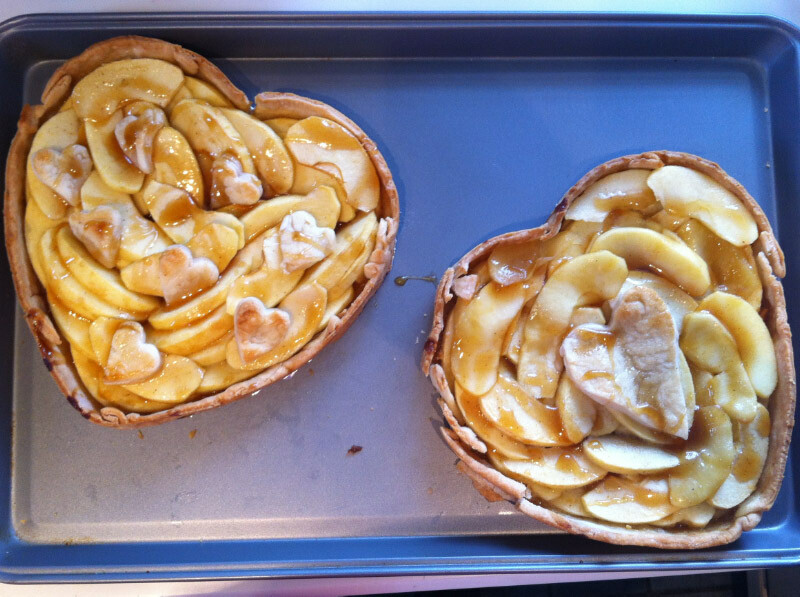 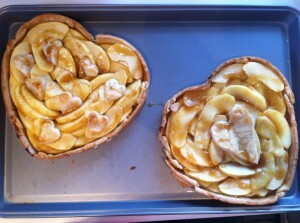 We made apple pies in a heart-shaped tin for Daddy, and for A&E to take into school.